VOX gives good tone—and that's not just us talking. 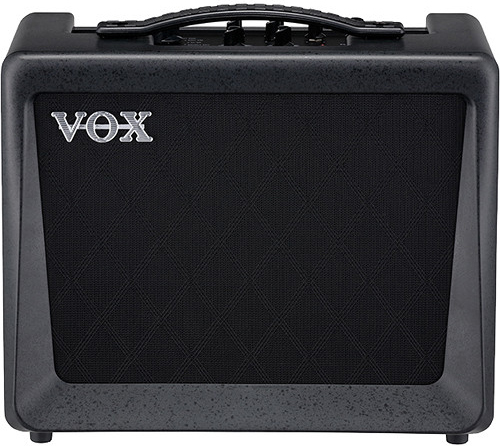 Everyone from the Beatles to Radiohead has enjoyed the classic, chime-like tones of VOX amplification. Now, VOX has released three new amplifiers that we here at B&H are only too happy to stock. For those who want to investigate VOX's take on the digital modeling amplifier, we recommend the VX15 GT and the VX50 GTV. The former offers 15W of power through a 6.5" cabinet, giving guitar players access to a versatile set of tones and effect choices that are well suited for home practice and studio use. Armed with VET (Virtual Element Technology), the amp provides 11 models, modern and classic alike, as well as onboard 24-bit/44.1 kHz DSP that ensures the built-in effects sound pristine. Anything from an AC30 to a line-model for acoustic guitars is on hand. These effects include modulation, tremolo, delay, reverb, and others. A 3.5mm stereo output lets you push cabinet-emulated sound directly to headphones or recording interfaces. Jam along with your favorite records too, thanks to the 3.5mm audio input. If you need a little more output power and the sound of tubes, then we advise the VX50 GTV, which is stocked with a next-generation Nutube vacuum tube. These tiny devices don't emulate the sound of tubes—they are essentially tubes in a smaller, more robust form factor. We've played them here in the B&H office and can personally vouch for the response and sound of the technology. 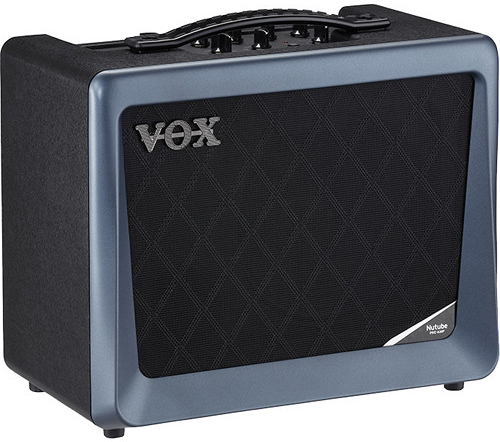 Like its smaller cousin, the VX50 GTV has 11 amp models and eight onboard effects. This amp also sports a built-in USB audio interface so you can connect to computers and track the sound. 3.5mm I/O for media players and headphones is also included. The VX50 GTV gives you an 8" cabinet. And finally, we have a brand-new, limited-edition VOX AC15C1 G12C, one with a 1 x 12" cabinet stocked with a Warehouse G12C speaker. None of that fancy new tech here—this is a straight-up, classic AC15 amp with Normal and Top Boost channels, a full complement of tubes, and a speaker, handmade in Kentucky. 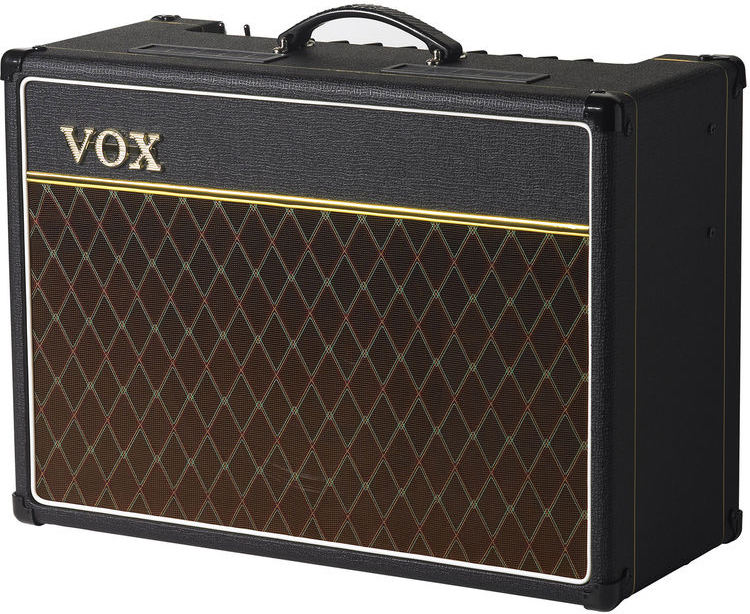 With vintage-style Tolex covering, this VOX also looks the part. Whatever your VOX predilection, we have something that'll fill the bill, so come on by the SuperStore or check us out online to delve deeper.